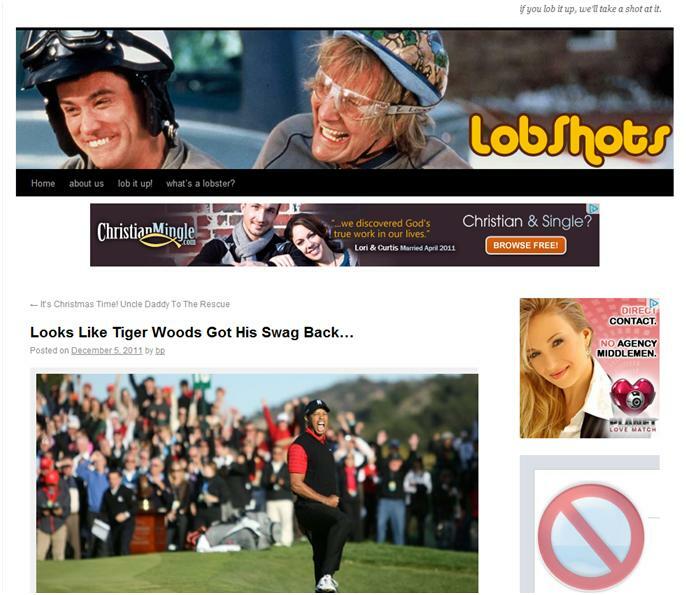 Check out the screengrab of the auto-generated Google Ads on the Tiger Woods post I just did. So fantastic. Tons of single Asian chicks. ha. Ha. HA! Perfect. Just for good measure.. I hit the refresh button to see what other gems might pop up. I was not disappointed. Yes! Christian and Single? Mingle here! God and dating isn’t your cup o’ tea? Enter PLANET LOVE WATCH! NO AGENCY MIDDLEMEN! Not even kidding… if someone showed me these, I’d bet money they were photoshopped. So good. Swag back indeed. 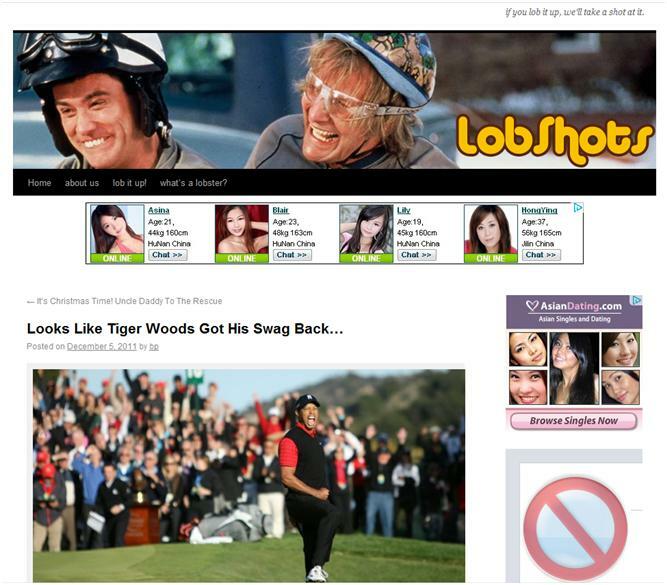 This entry was posted in Golf and tagged google ads, google tiger woods, Tiger Woods, tiger woods google ads. Bookmark the permalink.